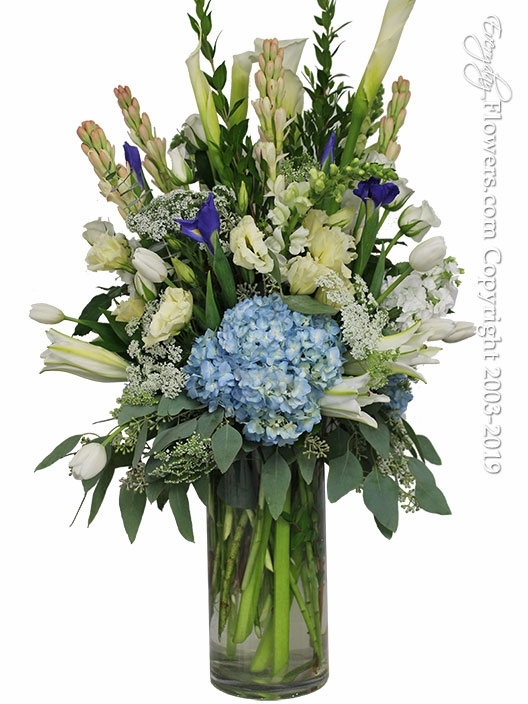 Picture here is 28 inch tall full floral arrangement featuring blue hydrangea white oriental lilies tuberoses stock white roses calla lilies snapdragons iris queen anne's lace and myrtle. This is beautifully arranged in a 12 inch high cylinder vase. Delivery is available by Everyday Flowers to locations all over Orange County California.